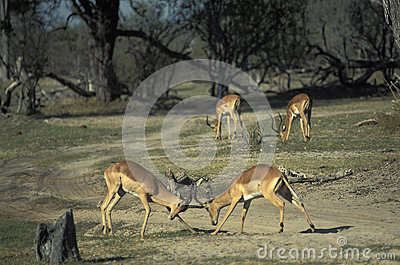 Males of impala gazelles fighting, Botswana. Males of impala (Aepyceros melampus) having a fight. Moremi Game Reserve,Okavango Delta, Botswana.